In years gone by, African tennis had a host of players in the World Top 100, but as a source for star tennis players, Africa has run dry. Of course, when the rest of Africa is failing to deliver, South Africa love to rise to the challenge and produce something special. 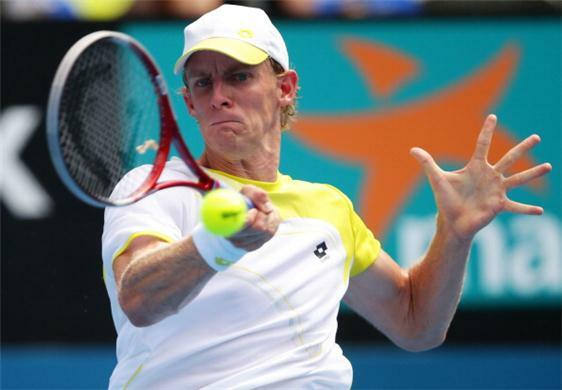 The closest we have is Kevin Anderson, the world number 23 and only African man in the top 100. Of course Kevin Anderson is not necessarily a man with whom positive connotations are always made. So it begs the question, friend or foe? South Africans are united by sport. On a day when the Springboks, Proteas or Bafana are playing, you will see hordes of fans in national colours. You will see black, white, green, blue, yellow and red. When a South African is competing, the country holds it breath, tweets and collectively cheers on their soldiers. We have seen this with our big three teams, with our hockey team, with our olympians even with Banyana Banyana. However, when Kevin Anderson plays, something different seems to happen, its almost like the South African supporting population is divided like the red sea. You see, South Africans dont take well to people who “insult” the national flag, these people include Kevin Pietersen, Clyde Rathbone, Jonathan Trott, Luke Watson, Irene van Dyak and Mike Catt. But in this modern society, this list includes Kevin Anderson for many people as well. The reason for this is simple. In a quest to once again dine at the top table of World Tennis, South Africa have been pushing for a place in the World Group. This has led to 4 consecutive World Group Playoffs, all which have been lost. Of course Kevin Anderson has only played in one of those and got injured in the process. Since 2011 there have been 3 Davis Cup Ties that Anderson has withdrawn from, citing injury, finances and want for American Citizenship. In fact since 2008, Anderson has played in only 2 of South Africa’s Davis Cup fixtures. In the same time Djokovic has represented Serbia 9 times, Roger Federer has represented Switzerland 6 times, Andy Murray has represented Great Britain 3 times and even an injury prone Rafael Nadal has represented Spain 6 times. It also meant that Anderson did not qualify for the Olympic games as he had not played enough Davis Cup games to qualify, the only one of the top 32. Probably the most frustrating was a withdrawal due to fear of injury, only to play World Team Tennis at the same time. Now some of you may say, what if Raven Klaasen made himself unavailable, would we still be so upset? Not quite as upset, no. You see Kevin Anderson has incredible talent. Him being unavailable for use in the National Squad is a massive blow. His incredible increase in form and rise in rankings means he is our best hope of continued success in World tennis and the first reason to be happy for South African tennis fans since Wayne Ferreira’s retirement. This year he has made the last 16 in Australia and France and the last 32 at Wimbledon. We desperately need him when we play Slovenia or South Africa may well face a daunting relegation battle against Russia. Kevin will have his reasons for continued unavailability for South Africa, a fractured relationship with De Jager (Davis Cup Captain), the administration of Tennis South Africa or the lack of financial support. His open letter after his withdrawal in September 2012 highlighted this. And well we respect the rise of Kevin and his commitment to his family and making the most of his career, we also respect the SA flag and would love him to represent his country again. 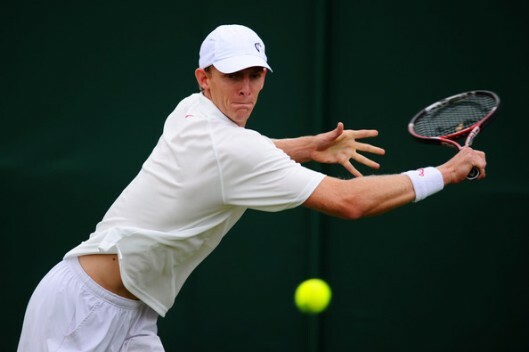 The fact of the discussion is simple, until Tennis South Africa can support Kevin Anderson and make sure he is able to represent the nation in the Davis Cup on a regular basis, it is likely that Anderson will continue to divide opinion rather than unite a nation. I think to become pro, as a South African, is such a financial burden that if you make it, you’ve over committed to sponsors and tournaments. Patriotism is one thing, but the likes of Kevin have to choose legacy or a career, only few can achieve both at the same time. The real question is not about Kevin, it’s about tennis in our country. Tennis is overplayed. It should have a season like all other sports. The players do not need the additional burden of playing for their Country. THe top 100 players should be excluded from the Davis Cup. Down grade it to a Two week tournament like the soccer world and put it in some exotic locations to encourage tourism and tennis. Then it would serve some purpose. If I was Kevin I would also give it a miss.